Guy Standing is Professorial Research Associate at the School of Oriental and African Studies University of London. Guy Standing is a Fellow of the British Academy of Social Sciences and co-founder and now honorary co-president of the Basic Income Earth Network (BIEN), an international NGO that promotes basic income. 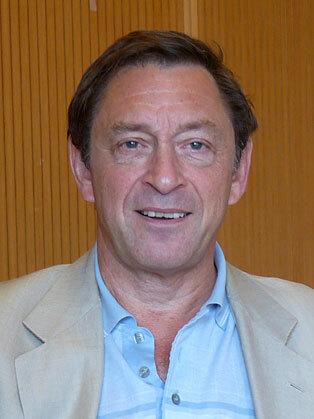 Professor Guy Standing was previously Professor of Development Studies in SOAS, Professor of Economic Security, University of Bath, Professor of Labour Economics, Monash University, and Director of the ILO’s Socio-Economic Security Programme. He has been a consultant for many international bodies, including UNICEF, UNCTAD, UNDP, the European Commission and the World Bank, has worked with SEWA (Self-Employed Women’s Association) in India for many years, and was Director of Research for President Mandela’s Labour Market Policy Commission in 1995-96. He was also director technical operations for the ILO in central and eastern Europe, based in Budapest, from 1991 to 1994. His career has combined being in the United Nations (rising to Director level), being an activist (working for SEWA, et al, and steering BIEN), and being an academic. He is on the editorial boards of various academic journals, including Development and Change, Work, Employment and Society and the Indian Journal of Labour Economics. He has been invited to give lectures in over a hundred universities around the world, as well as give keynote speeches at numerous international conferences. He has twice been invited to be a speaker at Davos, and been invited to speak in many corporate events across Europe and northern America, as well as to the Bilderberg Group in Dresden in 2016. In 2017, he was invited to give a seminar in the Bank of England, and to speak at the International Monetary Conference in London. In November 2017, he was invited to speak on the 800th anniversary of the Charter of the Forest in events in the Speaker’s Chamber in the House of Commons and in Durham Cathedral. In 2018, he has been invited to give the annual Storr Lectures in Yale University (February), and inter alia speak at the Geneva Human Rights Film Festival, the Futures Conference in Santiago, Chile, the St.Gallen Symposium, and the European Business Summit in Brussels, as well as give several seminars in the World Bank in Washington DC. His most recent books include The Precariat: The New Dangerous Class (2011), translated into 21 languages; A Precariat Charter (2014); with others, Basic Income – A Transformative Policy for India, and The Corruption of Capitalism: Why Rentiers Thrive and Work Does Not Pay (2016). His latest book is Basic Income: And how we can make it happen (Pelican, Penguin, 2017), published in the United States as Basic Income: A guide for the open-minded (Yale University Press).